I tried coming up with a witty title, but I just couldn’t do it. 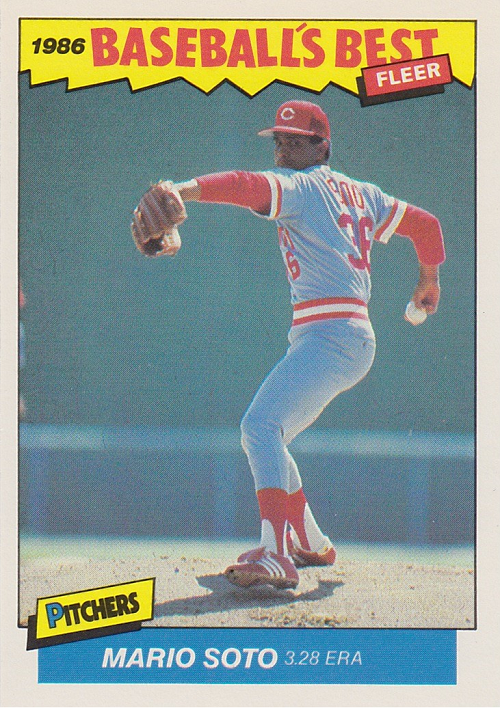 1986 Fleer is so bland it caused my brain to freeze up when I tried to be creative. So there you have it. 1986 Fleer is bland. That’s not to say it isn’t without its charm. Look at that. A pitcher at the plate. Bunting. How quaint. Andy McGaffigan spent time with the Yankees, Giants, and Expos before coming to the Reds in 1984. By the time this card was released, he was back in Montreal. Want to see another charming card? …and BOOM! Knowledge. Ironically, I don’t think Fleer used the word ironically correctly. Fleer was very busy in 1986. 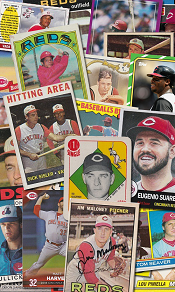 In addition to the regular base set, there were at least six boxed sets that included Reds. The bland brand released their third Update set at the end of the year, which included rookies Kurt Stillwell and Tracy Jones and veterans Bill Gullickson and John Denny. They also released a 120-card mini set which was not a parallel of base set cards but featured different photos. What a novel idea. Then there was the 132-card Star Sticker set. I actually bought a wax box of these a few years ago and had a blast ripping the packs, but fell 32 cards short on completing the entire set. 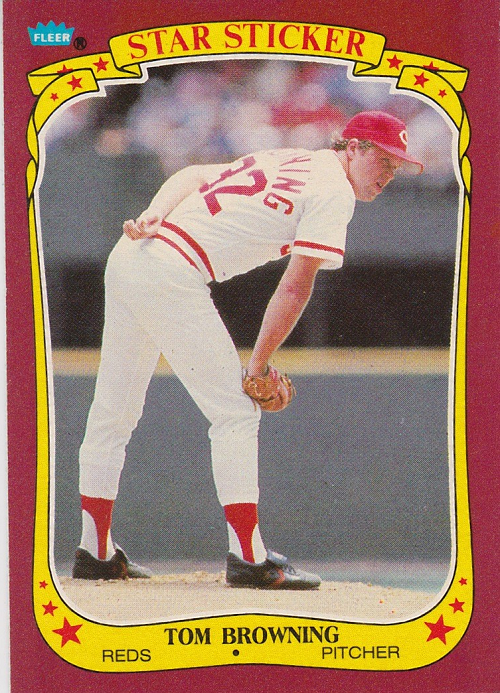 Tom Browning popped up in a lot of 1986 sets, and for good reason. 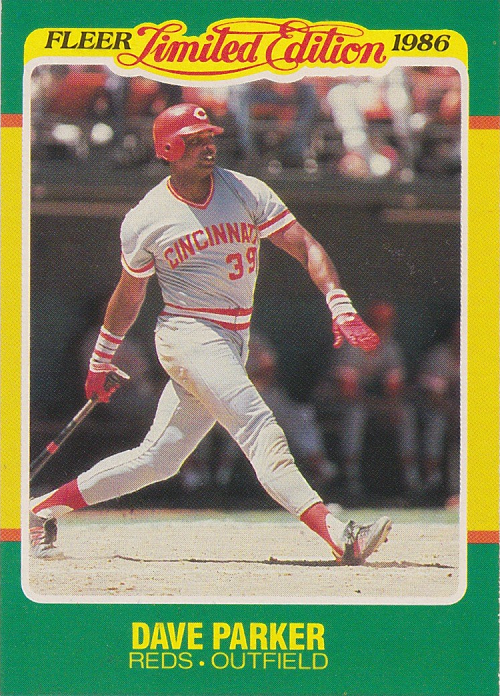 His 1985 rookie campaign was overshadowed by the St. Louis speedster Vince Coleman, but Browning was the first rookie since the 1960s to win 20 games in a season. Not Dwight Gooden. Tom Browning. And no rookie pitcher has done it since. I realize wins are not really in vogue when talking about pitcher stats, but 20 wins is still a big deal in my mind. Coleman captured all 24 first-place votes for 1985 Rookie of the Year, and I have to admit that I’m a little perturbed at the Cincinnati BBWAA voters for that. Fleer also released a handful of smaller box sets. I do not have any of the 1986 Fleer League Leaders cards, and I’m not sure I’ve ever actually seen one in person. There are two Reds in the set, Dave Parker and Pete Rose. The relatively new List of Fisk blog breaks down Carlton Fisk‘s card in the set. How limited, you ask? Probably not very. It was 1986 after all and this set is not terribly difficult to track down 32 years later. Again, there are two Reds in the set and again, it’s Parker and Rose. I haven’t gone to the trouble of finding the Rose card yet and I have no idea how long Parker has been in my collection. Another box set was Fleer’s “Baseball’s Best” (but usually listed in price guides as “Sluggers/Pitchers”). Again, 44 cards. Parker didn’t make the cut for this set, but Rose did, even though he could hardly be called a “Slugger.” Browning and Mario Soto were included among the pitchers. I like this particular set because of the consistency of it. 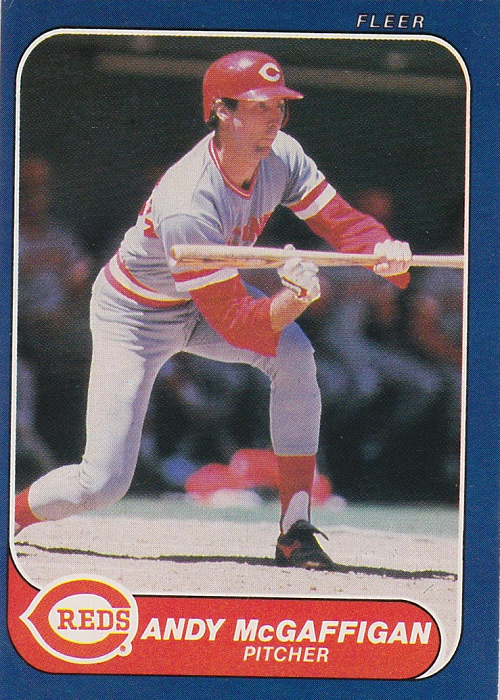 Fleer released this set from 1986 through 1988 with the border being the only major change in the design. 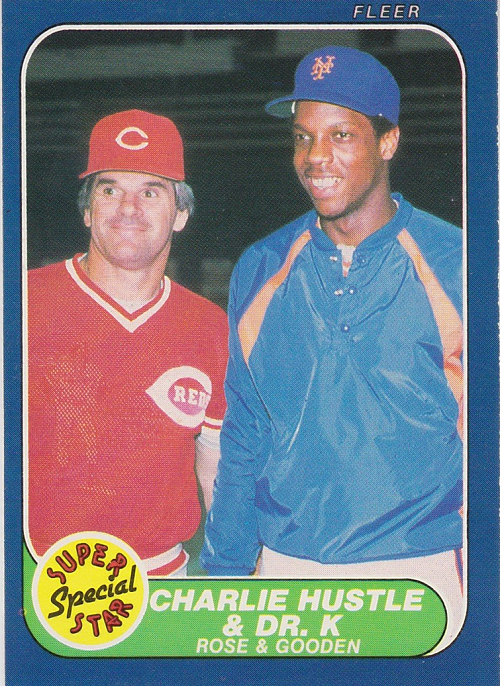 Two other 1986 Fleer Reds cards I don’t have were inserts into packs: “Future Hall of Famers” (Rose) and “All-Stars” (Parker). Both of these inserts are more attractive than the base set design. 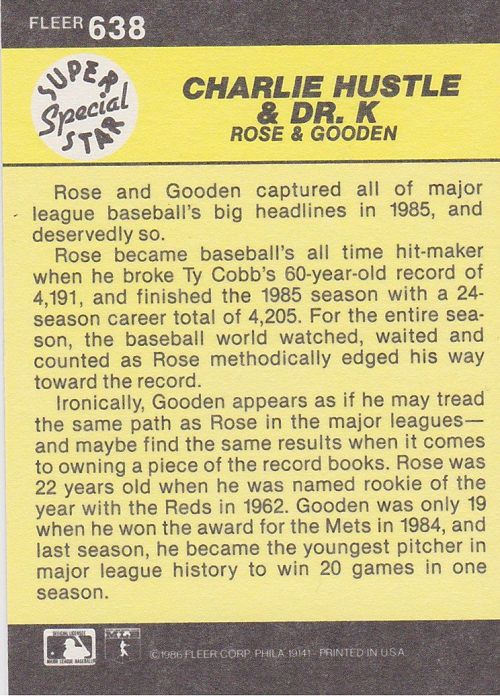 Which isn’t saying a whole lot, because, you know, 1986 Fleer is bland.